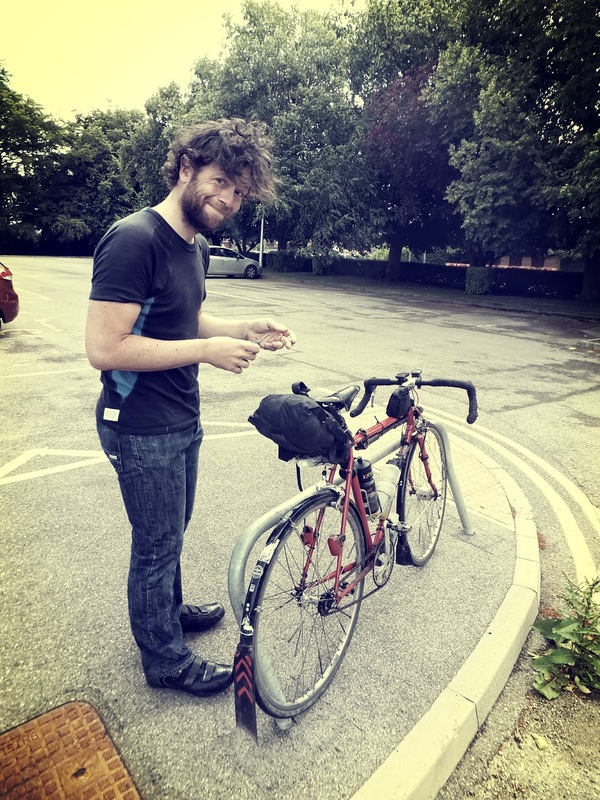 Dean is riding ‘PBP’ this year, (Paris-Brest-Paris, 1200km Randonneur) in fact as I retrospectively type this blog entry he’ll be at the “National Velodrome” in Saint-Quentin-en-Yvelines having his bike checked over. I wanted to get a 400km event under my belt to achieve a ‘Super Randonnuer’ award from Audax UK; so my plans for a DIY 400km ride fitted his tapering plans ahead of PBP. Unfortunately neither of us planned to have an accident after the first 100 miles. With an early alarm set for 3:30am, I was on the road in the chill morning light at 4am heading from Durham down to Newton Aycliffe to meet Dean at our first control point. The large 24-hour Tesco was open, but the cafe was not. Generously the store manager went to the staff coffee machine and brought me back a hot drink in a plastic cup – very generous and warmly received. We then crossed the A1 westbound heading for our next control point in Stokesley. Dean was using the traditional approach of carrying a brevet card and collection P-o-P (Proof of Passage) at each control point. I was using a ‘virtual brevet card’ and would submit my GPS tracklog as proof of my ride. The weather was really in our favour, as we bustled along with a beautiful tailwind. We climbed Clay Bank and dropped down into Bilsdale enjoying the scenery of the North Yorkshire Moors around us. Newgate Bank is visible from a distance carved as a diagonal line up the side of the valley and disappearing into the pine trees at the top. Dean, as usual, dropped me as I struggled uphill. Not maliciously of course, its just that on fixed gear he basically has to go at his own pace. 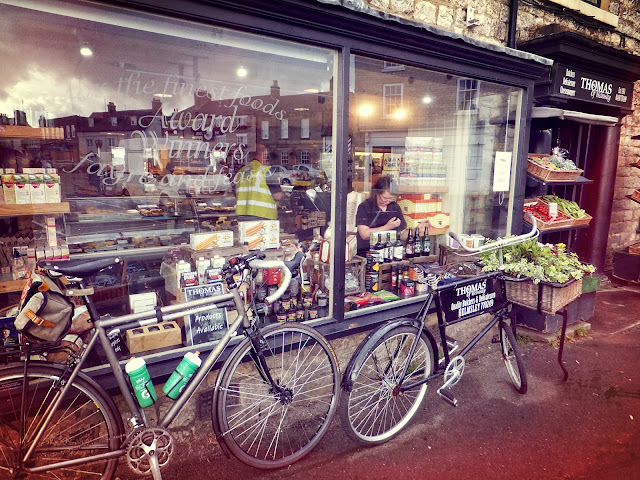 We enjoyed the long descent into Helmsley for another control point, and stopped for coffee at Taylors Bakery. 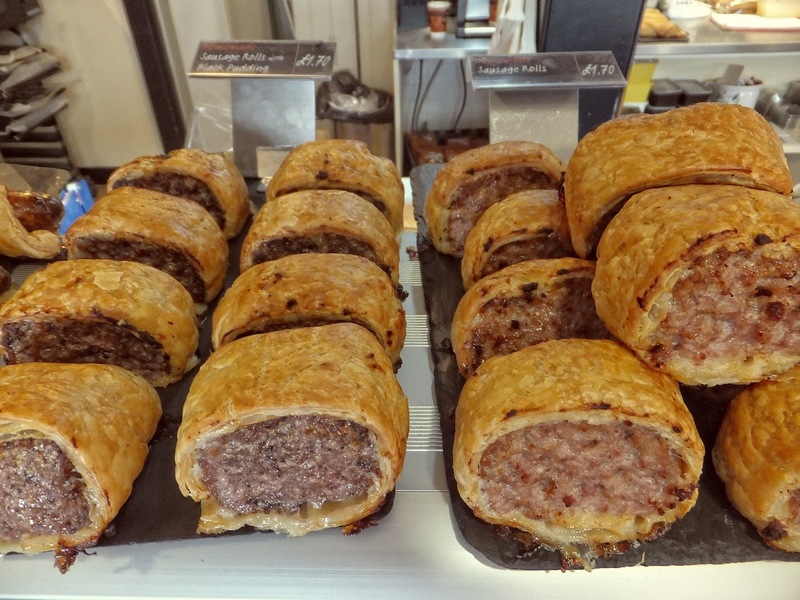 The hearty sausage rolls looked tempting, but I resisted in the anticipation of a filling pub lunch and pint of beer later in the day. 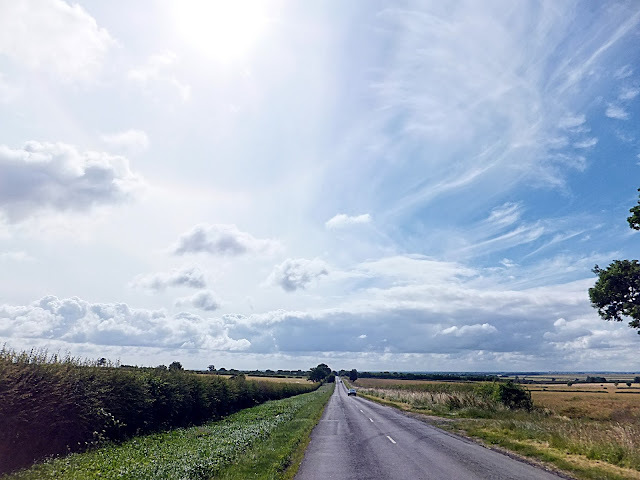 I had plotted a route in RideWithGPS and the plan was to ride: Durham, Newton Aycliffe, Stokesley, Helmsley, Driffield, Scunthorpe, Tadcaster, Ripon, Bishop Auckland and back to Durham. I had let RideWithGPS choose the roads with only minor input from myself, so wasn’t 100% sure which turns we’d be taking. One thing was for certain though: all Audaxes go through Malton at some point in time or space. 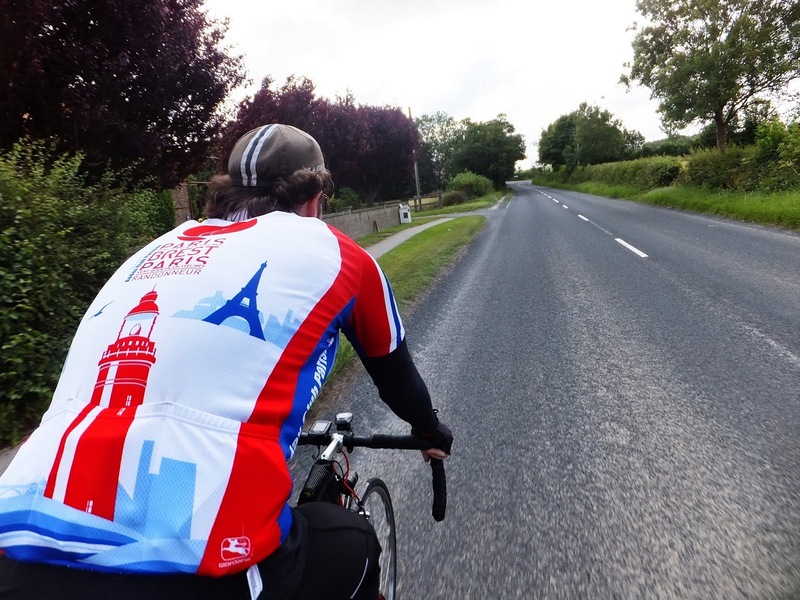 The road down to Malton was easy with our following wind. Malton is the place to cross the River Derwent and the railway line, where we accessed the lanes heading into the Wolds. 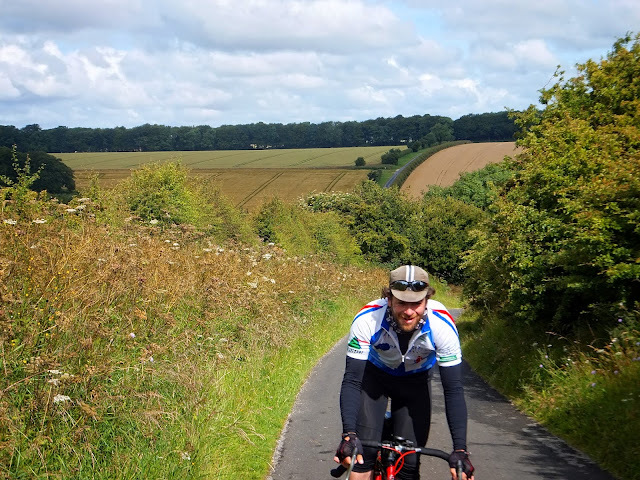 If we’d expected a flat ride we were wrong; the Wolds are quite lumpy so the roads descend and ascend rapidly in succession. Some of these roads were familiar from the Wiggy 300 event so I found us climbing past the memorial alongside the B1253, just outside Sledmere. The views then opened out ahead of us and we knew that we’d be treated to flat roads and tailwinds all the way down through Driffield, Beverley, Hull, over the Humber Bridge and all the way to Scunthorpe. Alas – not all was going according to plan and this DIY 400 ride was coming to an abrupt end. 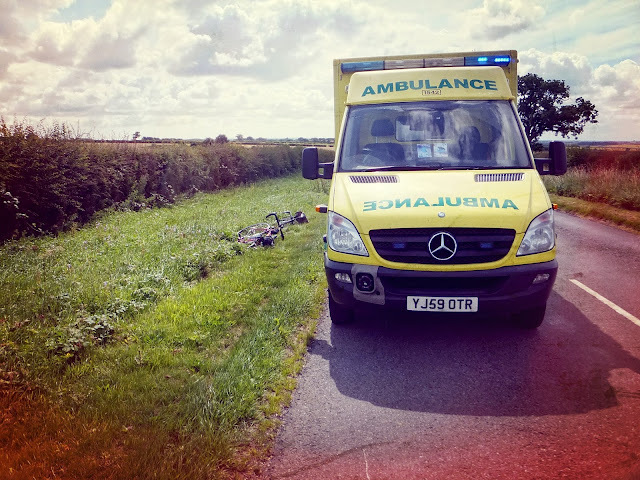 Getting a ride in an ambulance is not typically part of tapering for PBP, but Dean was treated to the best service that the Yorkshire Ambulance Service could provide. I was down the road when I heard a car horn blaring urgently behind me. I looked round to see Dean in the road and his bike in a heap. The car wasn’t involved: something mechanical had jammed on Dean’s bike and thrown him over the bars. Thankfully Dean had not lost consciousness and the scratches and bumps he suffered were only superficial. His bicycle took a bit of a battering and his Brooks saddle was twisted in an ugly manner. Our ride was over but not the adventure: down to A&E in Driffield, and home on the train via Hull and York. I’m extremely relieved that Dean is just a bit battered and nothing more, and I’m really pleased to report that he’s starting PBP in the 84 hour group at 5am on Monday 17 August.